A few years ago I attended a workshop on chocolate making. It was interesting to learn how to create chocolate from scratch and the technique for making it snap when breaking it up into pieces. As much fun as the class was, that process is a bit time consuming and you have to be diligent while your creation is on the stove. 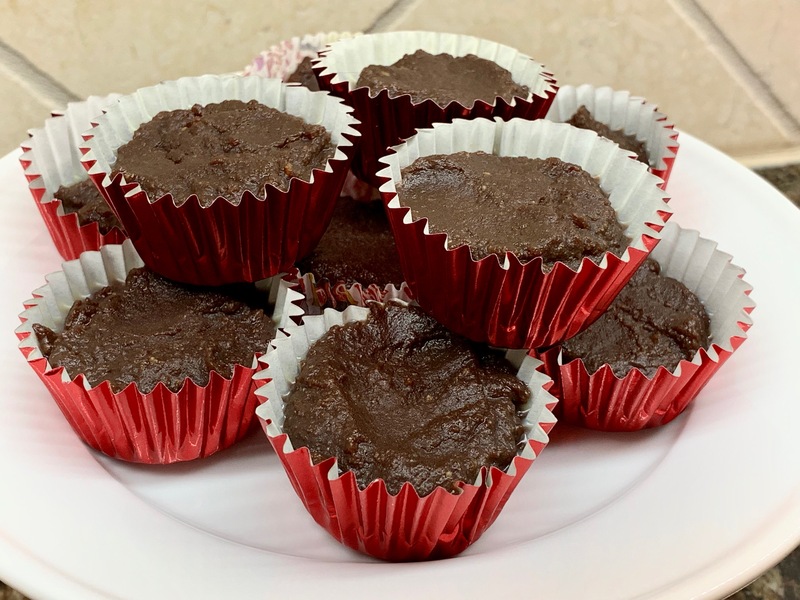 More recently I have discovered healthier fudge recipes that are less demanding and produce treats that have less impact on blood sugar balance. Prepare a mini muffin tin with small paper liners. In a medium pan over medium-low heat, combine all ingredients. Stir until ingredients are well mixed and smooth, working to incorporate any lumps. Spoon into the lined muffin tin and place tin in the refrigerator for 30 minutes. Let candies sit at room temperature for 5 minutes before serving. Store in the refrigerator. Note: When making chocolate, choose a food-grade cocoa butter such as Navitas Organics cacao butter. Some products are used for making toiletries and may not be pure cocoa butter. It seems I have been slaving over cookie cutters far too much lately, so I went easy on myself with this week’s recipe. Making chocolates is not very difficult and can be quite fulfilling. You can grab whatever is in your pantry to make them savory, healthy, and any taste you choose (I added cinnamon). I also discovered a new recipe twist I had to try – it added probiotics to the mixture for a health-giving extra. Now you can have your sweets and supplements at the same time. This recipe has no tips for high altitude baking, but I can offer a few insights. In the past I had used Cocoa Butter for making body products. It was from a crafts website and I thought it smelled pretty good because it had cocoa undertones. And then I opened a package of Navitas Naturals Organic Cacao Butter. It was heaven. I wanted to eat the nuggets straight from the bag. They are luscious, but be aware that when the melted butter cools it gets almost as hard and messy as candle wax. Another Navitas Naturals product I tried was Maca Powder. It is dubbed an “Incan Superfood” and it has a caramel-like taste. 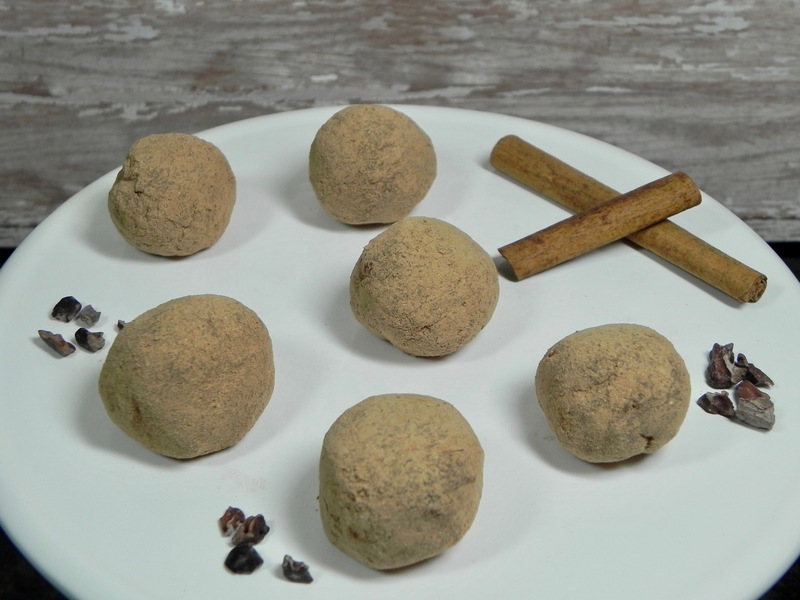 I chose to roll my bonbons in a mixture of Cacao Powder and Maca Powder for extra nutrients and the caramel overtones. Note: I’m not paid to like Navitas’ products, I just do. Superfood Chocolates adapted from Sea Salt Probiotic Chocolates in Tasty. Naughty. Healthy. Nice. 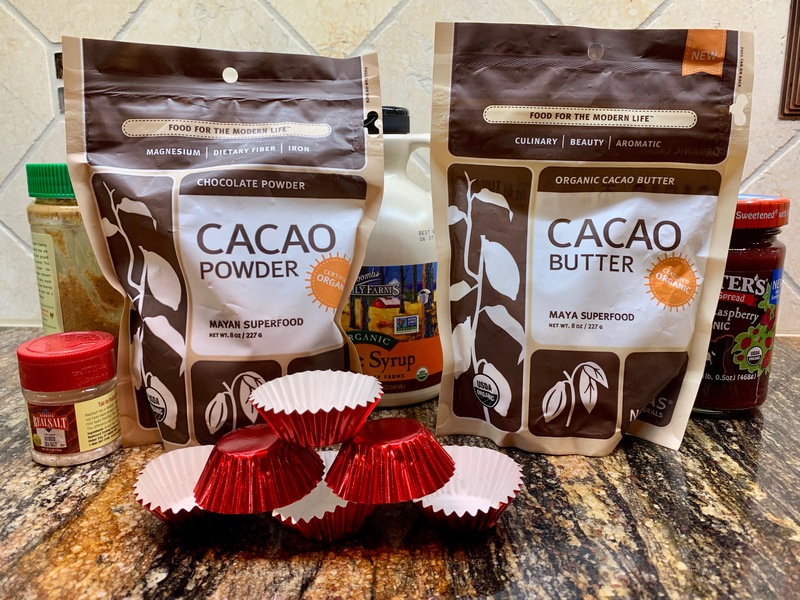 To get 1/4 cup of melted cacao butter, put slightly more than 1/4 cup of unmelted cocoa butter in a double boiler with simmering water beneath. Remove from heat and let cacao butter naturally melt over hot water for 5 minutes. In a food processor, blend agave, 1/3 cup cacao powder, cinnamon, almond butter, vanilla, salt, and hot water. Add probiotic powder and blend again, scraping down sides as necessary. With motor running, slowly add melted cacao butter in a steady stream. Refrigerate in same bowl, with blade intact, for 1 to 3 hours. If mixture seems too hard, blend it again to loosen it up. Put cacao/maca powder mix in a shallow plate. Roll mixture into bonbons between your palms, then drop into powders. Store in refrigerator. Can be frozen for up to 3 months.